Some objects in the Universe are huge, but it is hard to imagine how huge they really are. To help my readers with that, I made the following visualization, divided into 4 steps. 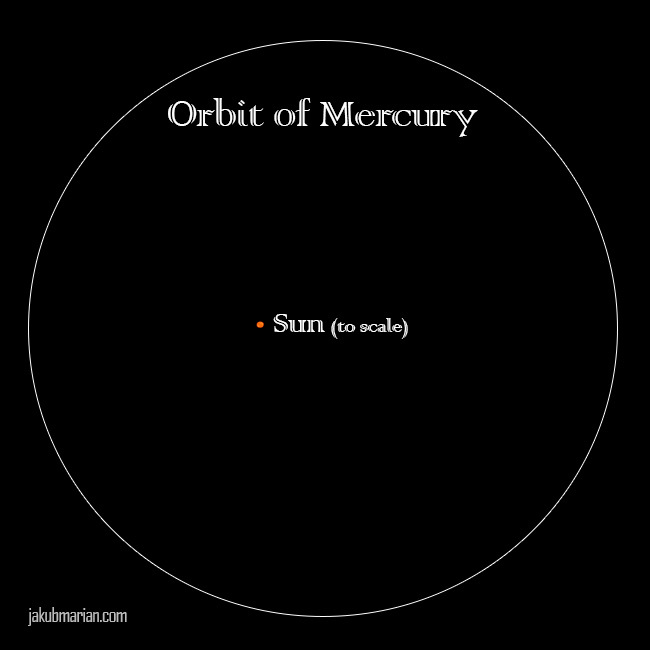 Finally, people usually think of planetary orbits as being quite equidistant, but this is also not the case. 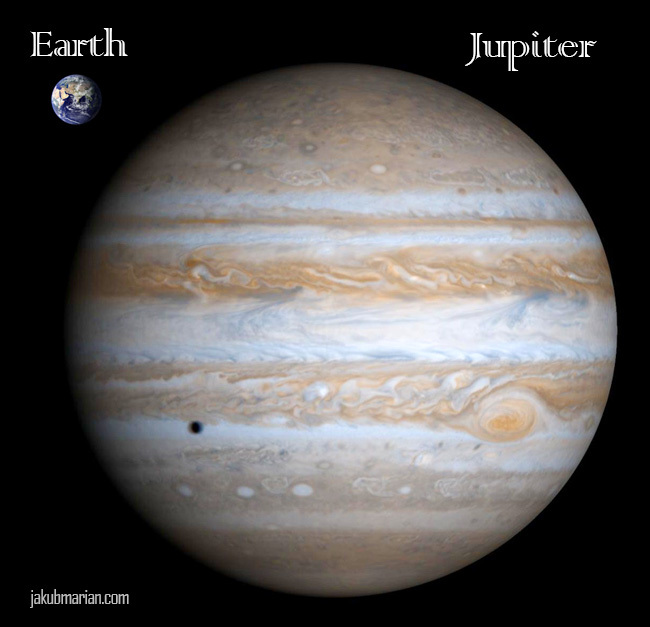 There’s a huge gap between the inner planets (Mercury, Venus, Earth, and Mars), and the outer planets (Jupiter, Saturn, Uranus, and Neptune), and this will make any manned mission to Jupiter much more complicated than a manned mission to Mars. 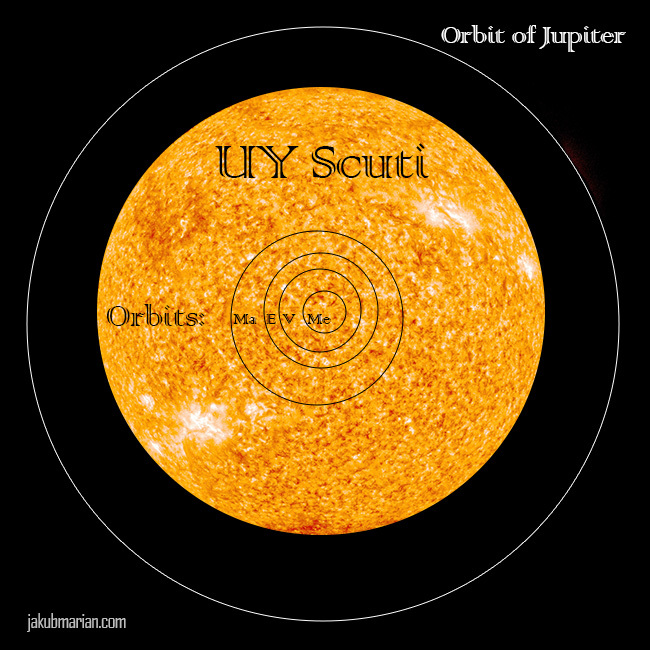 Please note: This is not a real picture of UY Scuti. There are currently no telescopes able to provide an image bigger than a small dot. 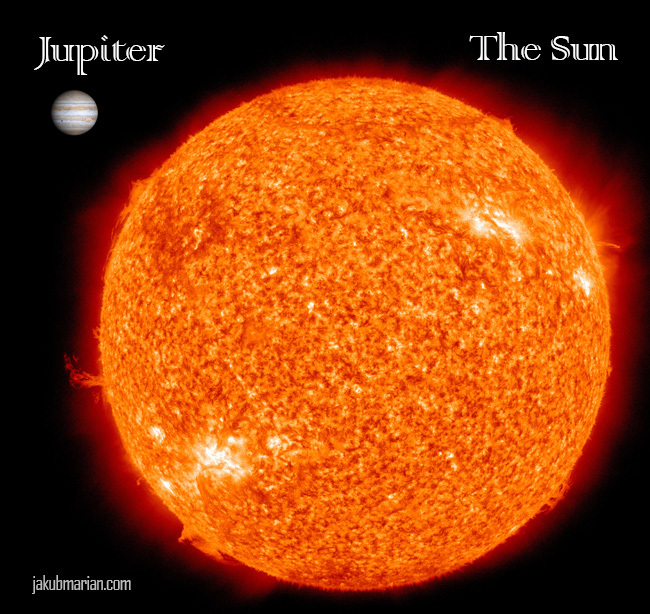 The picture used is a modified picture of the Sun.